Gogglebox Australia is based on the U.K. smash hit of the same name and is a weekly observational series which captures the reactions of ordinary Australians as they watch the news, argue over politics, cheer their favourite sporting teams and digest current affairs and documentaries. Ten chosen households are rigged with special cameras to capture every unpredictable moment. Every evening in Australia, more than four million of us choose to spend a night in front of the telly. Have you ever wondered what other people are watching and how they're reacting to the shows you're loving or hating? No matter who you are or where you've been, your manners should always go with you. Can you love your pet too much? The Goggleboxers find out. 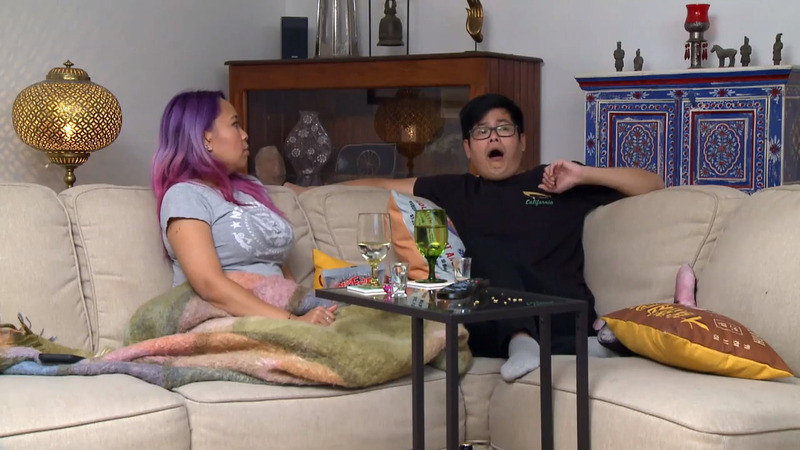 I just moved here from the US a few weeks ago and my new favorite channel is Foxtel's Lifestyle channel and Gogglebox is my new favorite TV show! I love it! I laugh, I get emotional and I just REALLY enjoy it! Thank you! I would love to know where The Jackson’s from Gogglebox got their lounge from! If anyone could help me, it would be much appreciated! I enjoy Gogglebox immensely and we always watch it but this series seems to include more and more unnecessary family disputes which have nothing to do with the show reviews and which while just showing participants are normal reduce the attraction to the show. This is not Gogglebox UK.....It is a lively fun show so don't spoil it.